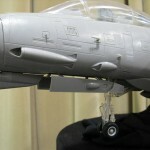 Merit International has posted an update with more images of the 1/18 scale F-14A Tomcat by JSI. Of all the announced releases regarding 1/18 scale military toys, the Tomcat is one of the most shocking, as it has been in demand for years, and it was announced at a time when huge 1/18 aircraft, let alone new 1/18 items in general, seemed unlikely to see release. JSI is hitting hard right out of the gate, and their F-14A Tomcat should be ready prior to Christmas. A pilot figure is shown in the images, and it gives us a sense of just how big this plane actually is. It’s unknown if the Tomcat will come with the pilot shown, as well as a RIO(Radar Intercept Officer). 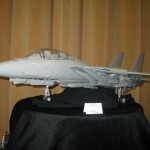 Merit International has posted images of the 1/18 scale F-14A Tomcat by JSI, which was shown this past weekend at the Weekend of Heroes 2009 show. These images give us an up close look at the Tomcat, giving us an idea of how detailed this piece truly is. This is also the first, clear look into the cockpit, giving a glimpse at the detailed cockpit displays such as the RIO(Radar Intercept Officer)’s radar display. This item will see release before Christmas this year. Click on the title bar to see more! Being that the piece on display features gun vents from the F-14B and F-14D Super Tomcat, could JSI also be planning to release those versions in the future? The first color scheme, or S1 version of this plane is going to be for VF-84 Jolly Rogers, arguably the most popular squadron paint scheme for this plane. Could the Tomcat be unveiled in that paint scheme, next month at San Diego Comic Con? 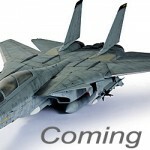 According to Merit International, JSI has announced their 1/18 scale F-14 Tomcat! This ambitious release is set for later this year, with more details to follow soon. 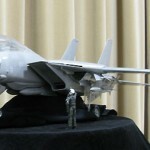 1/18 scale fans have been dreaming of an F-14 in this scale for years, and it looks like the wait will be over shortly. At 1/18 scale, this plane will measure 3.5ft long, therefore becoming the largest aircraft in this scale upon release. This is truly a very ambitious effort by a new company, and has Tomcat fans jumping for joy. Any 1/18 scale/3.75″ figure should be able to fit into the cockpit seats. Constructed out of heavy plastic, an impressive amount of detail, which is already visible on the prototype, and with retractable landing gear, this is a dream come true for Tomcat fans. The only Tomcat toy of it’s kind, it is quite possibly, the definitive F-14 Tomcat toy. JSI is no stranger to 1/18 scale, as they used to manufacture toys for 21st Century Toys, and will actually be re-releasing the Tiger tank, F4U Corsair, & P-38 Lightning under the JSI banner, this summer! So far, only the F-14A model has been shown. Could F-14B, and F-14D Super Tomcat versions be in the planning stages? The F-14A has a ton of popular squadron paint schemes that fans would love to see, as do the other 2 variants. It isn’t known which paint scheme will be seen first, and the product shown is not indicative of the first paint scheme either, as squadron markings are absent. Thanks to HISS Tank.com & Toyark.com boards member Tuskegee Joe for the heads up! Click on the title bar to see the first image of the Tomcat, as well as JSI’s other upcoming releases! Discuss on the Toyark Forums› Views: 18022 › Credit: Tuskegee Joe of the Toyark Forums!